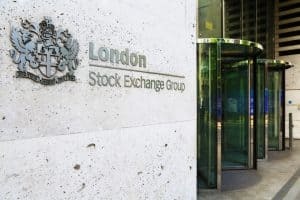 London Stock Exchange’s (LSE) hidden mid-point pegged order type saw a new record daily value on Monday 16 April this week, with £275 million notional traded. The new record is almost five times larger than the previous daily record on 12 January of £59 million traded, with LSE suggesting the statistic offers evidence that its clients are continuing to seek new liquidity opportunities. The order type is large-in-scale, providing traders with on-book liquidity which can be accessed as a smart order routing destination. “London Stock Exchange’s hidden mid-pegged order provides investors with a MiFID II compliant tool to interact with both lit and dark contra liquidity, pegged to the mid-point of our order book,” said Scott Bradley, head of sales and marketing at LSE Cash Secondary Markets and Turquoise. Data implies various block trading and periodic auction-style venues have been a popular method of trading under the new MiFID II regime. The proportion of dark traded as large-in-scale blocks doubled to a record 28.7% on 12 January compared to 12% in January last year, according to statistics from Fidessa. For the week ending 23 March, this surged again to a record 44.02%. “This latest record demonstrates continued investor demand for MiFID II compliant mechanisms that allow traders to get their business done in an efficient manner, benefitting from best execution,” Bradley concluded.